When you come to Andalusia, you will find a wide range of different ways to explore this diverse and incredible area with one day tours. 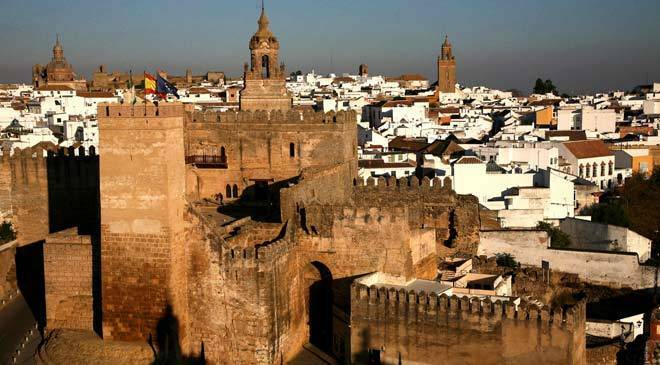 However, you need to remember that Andalusia is a big place and one that is packed with many exciting cities, attractions, and places of interest you could experience. If you are unfamiliar with the territory the best way to experience Andalusia on your own terms may be on a Luxury Day Tour, which lets you see the sights and attractions you want with an expert local guide! Carmona is a picturesque, small town with a magnificent fifteenth century tower. Its different denominations proclaim its role in the different invasions that has left behind many historical places worth to visit. The town of Osuna boast many fine baroque palaces, mansions and churches dating from the 16th to 18th centuries. Some scenes from Series 5 of the hit American TV drama series Game of Thrones were filmed here! The first archaeological evidence of Écija allows us to assume the original settlement was during the Tartessic era. Its strategic position along the river, allowed for the production and long-distance export of olive oil, that you can enjoy all along the way! If you would like to enjoy the deep soul of Andalusia, you have a great opportunity here! Near the city of Huelva, and just one hour by car from Seville, you can follow the story of Christopher Columbus and his voyage to the Americas at the “La Rábida” monastery, with its port and the three Carabelas re-constructed real size! This coastline is known as Costa de la Luz and it has seemingly endless expanses of sandy beaches, often backed by windswept sand dunes and pine trees! The villages have magnificent beaches, a lively nightlife in summer and a great choice of restaurants serving its renowned seafood, including jumbo prawns and shellfish. If you only have few hours to enjoy your time in Andalusia the best option is to organize a taylor made shore excursion for you. Have you already visit something of Andalusia? Of Spain? Of Europe? Of the Arabic world? What would you enjoy more: history? Culture? Food and wine? Nature? Sports? Is there anything specific that you have hear about us and you would like to experience it first hand? We have a lot of suggestions for you and your family about what to do and have a great time doing it! In the Mediterranean, sacrificing bulls is a practice dating back to pre-historic times. Bullfighting as we know it today, started in the village squares, and became one of the most important traditions of Spain during the centuries. There are about 70 bullrings in Andalusia. Seville is the most important and Ronda is the oldest. But if you really want to dive deep into this culture, a visit to one of the bulls farms is the best option! You can expend an incredible Half Day Trip! Kids and teens would be delighted! The Serranía de Ronda is studded with charming pueblos blancos (white villages) that can be visited by car in a delightful day trip. The dramatically positioned town of Ronda, on the Tajo gorge, has become one of the most popular destinations in Andalusia. Since the 1960s, Ronda was already beginning to attract tourists. Its association with the origins of bullfighting, helped immeasurably by the enthusiasm of Ernest Hemingway and Orson Welles, and the road suitable for modern coaches make it one of the most popular non-coastal destinations in Spain. Its almost unique separation into its two distinct halves – ancient and modern – connected by its celebrated bridge across the famous gorge and its unchallenged reputation at the heart of all that is Andalusia keep it near the top of the list for places to visit. The road makes you enjoy magnificent views over the untamed mountains of the Serranía de Ronda (Ronda Mountain Range) and the Sierra de las Nieves (Snow Mountain Range) Natural Park. And a visit to one or two more tiny villages would make your Luxury Day Tour a perfect one! Car, minivan or bus, not included. The Farm and his expert are not included.